Our range of Polymer concrete planters are a highly compressed moulded stone composite consisting of all natural materials such as basalt, granite, and quartz mixed with resin. 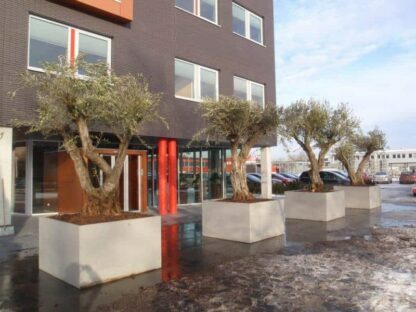 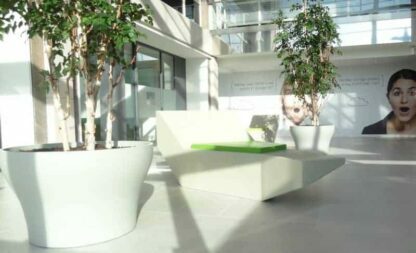 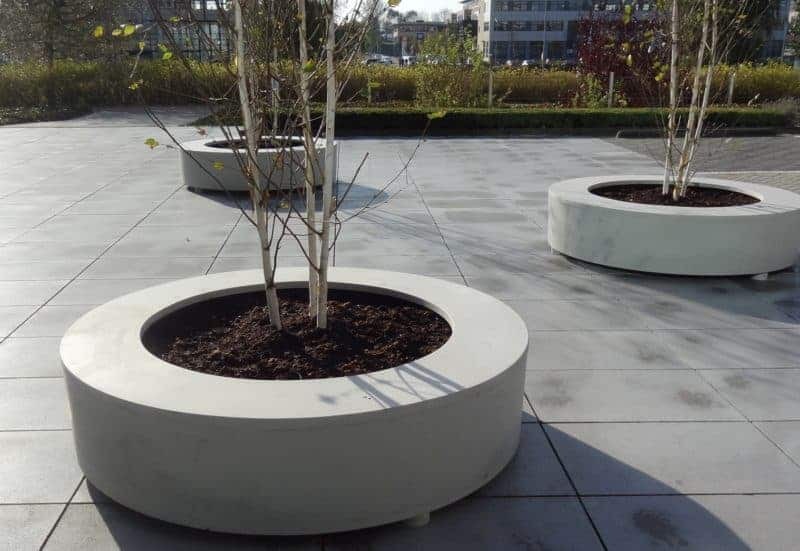 The clear advantage of planters manufactured from Polymer Concrete, is that it is without a shadow a doubt a smart material. 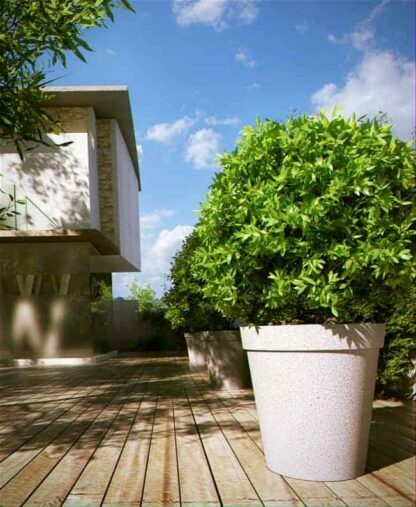 It is 100% waterproof and with an extremely smooth surface is dirt resistant. 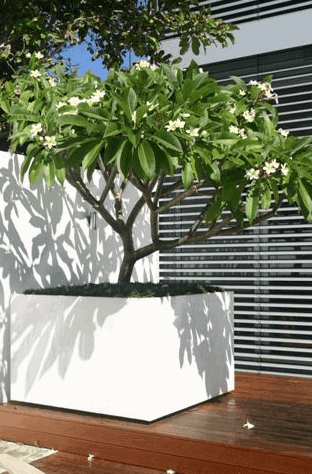 In addition to this, it has propensity towards being self-cleaning. 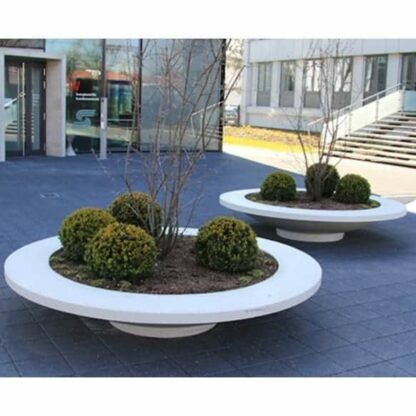 It is far stronger than normal concrete and is ideal for installation in public places. 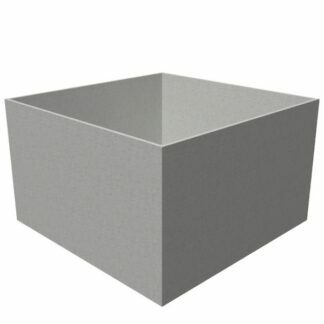 All that said, it is worth noting that there is a trade off for this extreme durability – and that would be it’s weight. 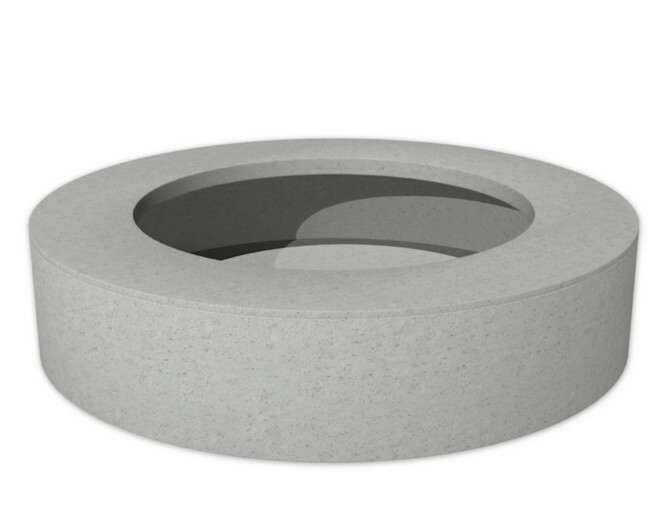 When compared with the other lines of products that we stock Adezz Polymer Concrete is heavier than most. 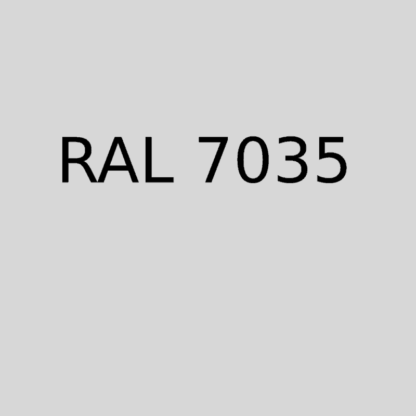 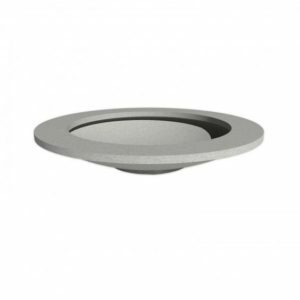 The up-side of this weight is that once these have been installed, wind and adverse weather will not wear or move them, which is particularly useful in open areas that are exposed to the elements. The aesthetic application of the Adezz Polymer concrete is fairly straight forward. It is absolutely not suited to traditional or rustic designs, no, rather is made for use in modern, contemporary or industrial design schemes. 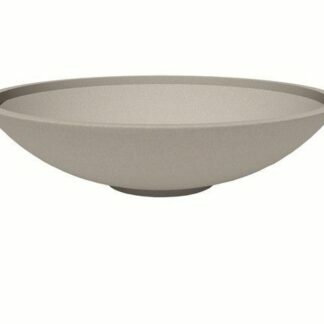 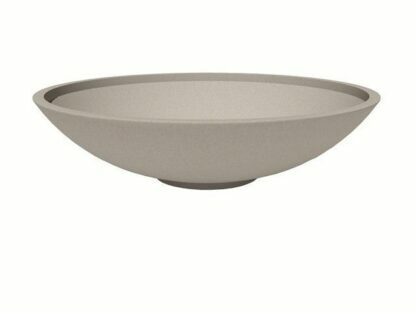 It’s appearance is close to high quality, smoothly poured concrete. 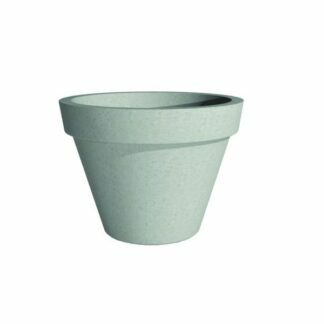 In our experience, these stone and resin mixtures (for example our own Polystone range of garden planters) tend to produce clean and robust finishes. 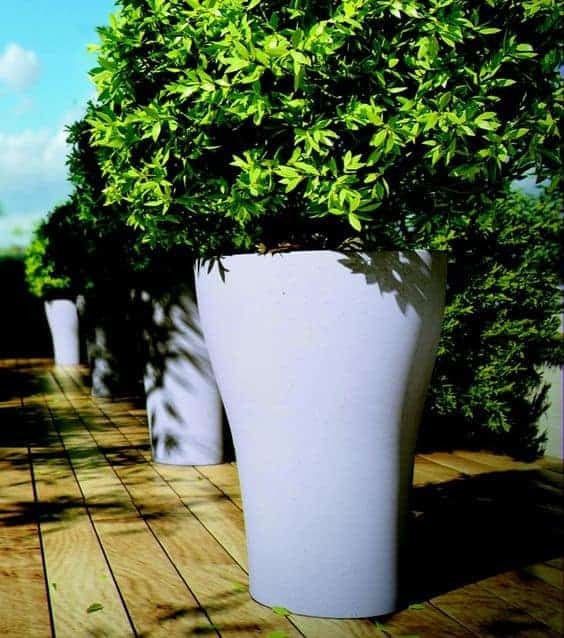 This line of garden of polymer concrete planters is available in a diverse range of shapes and sizes, giving a great amount of utility to any architect or landscaper looking to implement them in their designs. 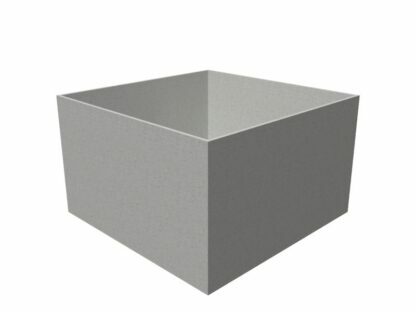 With cubes in the range as large as 100x100x100cm, there would certainly be no problems planting large trees in them. 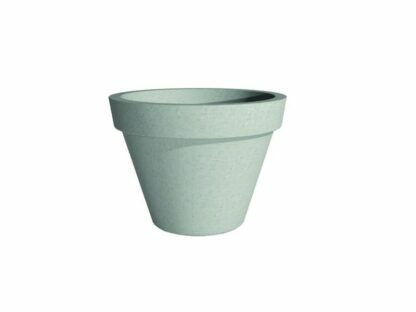 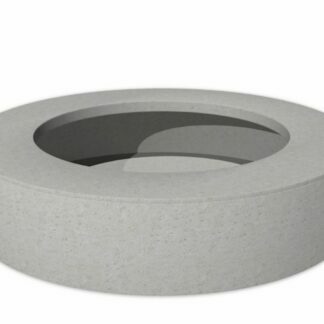 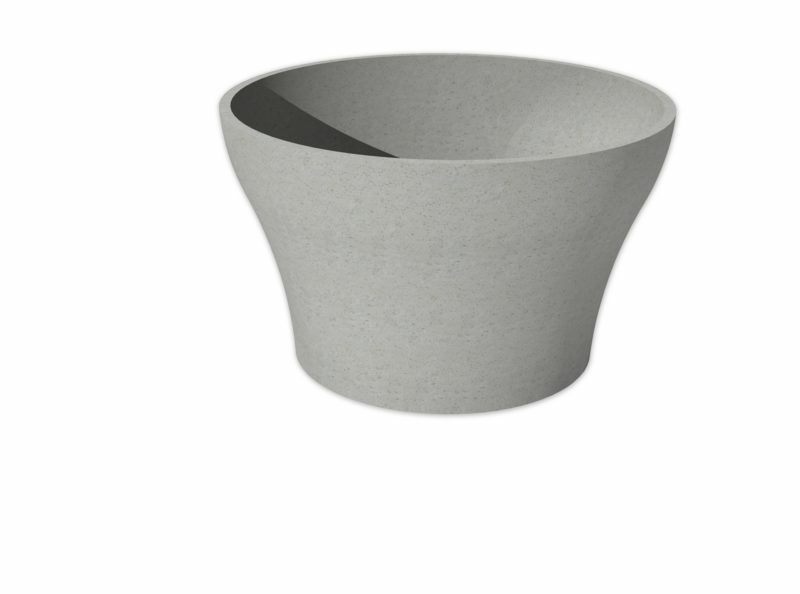 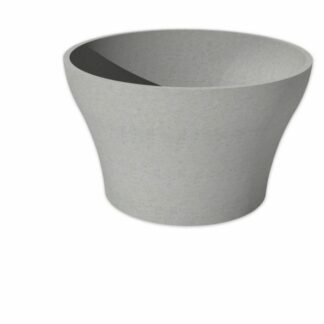 While not unique to this range, the Adezz Polymer Concrete does include far more varieties of round planter than some of the other ranges, which usually focus around square planters like troughs and cubes. This creates an opportunity to use the planters as centre pieces or highlights to your garden designs.